I haven’t made these meatballs in years but the other day I got inspired thinking of how much fun my dad and I would have in the kitchen. He was the best at mixing ingredients and making new creations. These meatballs were just one of his creations and I always loved them! I tried to recreate it the best I could but it still comes short in my mind. 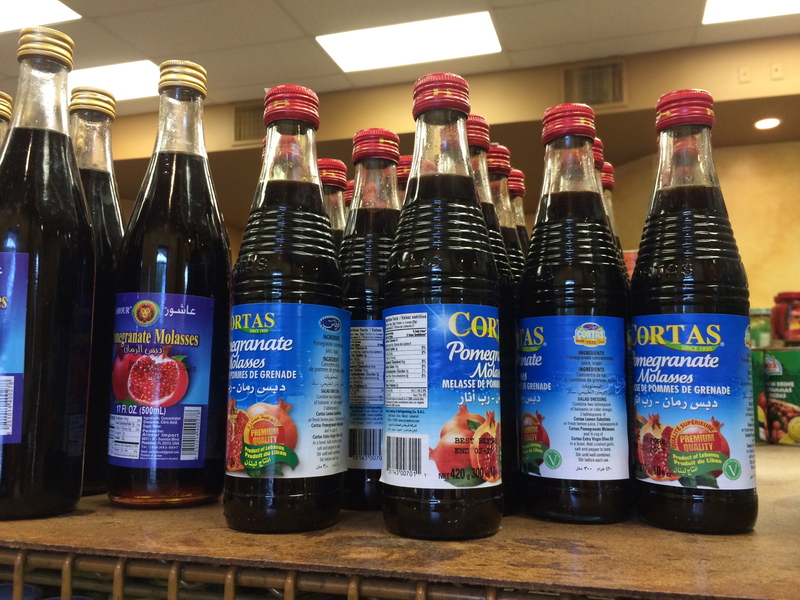 You can buy the pomegranate sauce at any middle eastern market. I purchased it at a local Daily Bread (on US-1 & 27th Ave.) As a side note, pomegranate sauce is also a great marinade for steaks and other meats. You’ll want to mix all of the ingredients together. The best way to do this is with your hands! After, of course, washing them thoroughly! 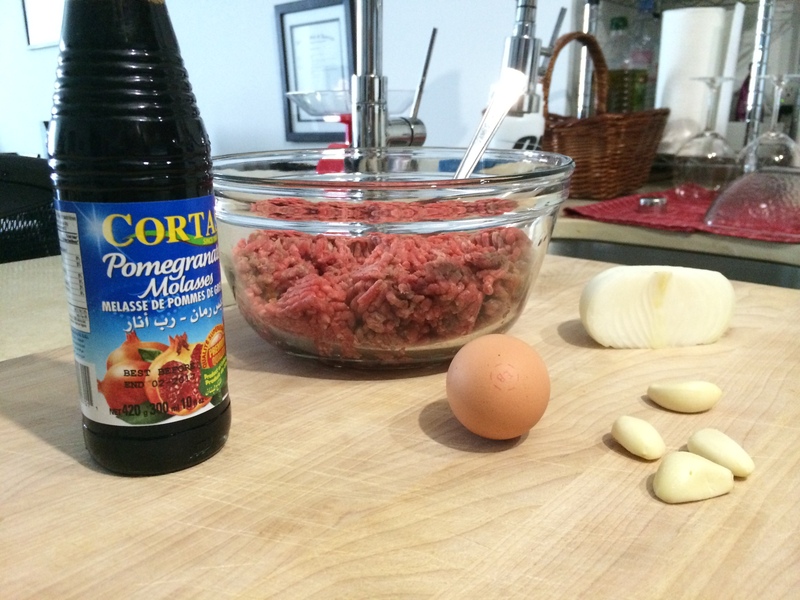 The egg helps to bind all of the ingredients and keep them together so it’s easier to mold into meatballs. 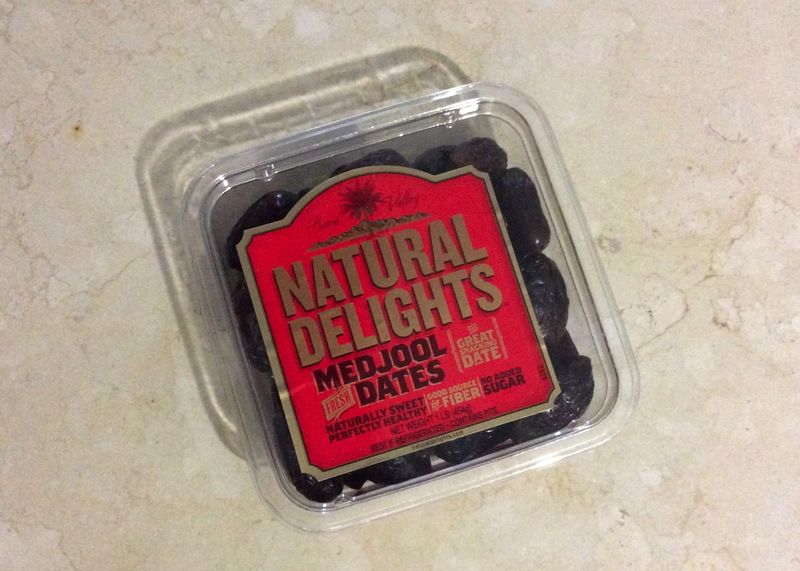 Now, for the dates, I buy them with the pits inside because they always seem to taste better to me than the pitted ones. 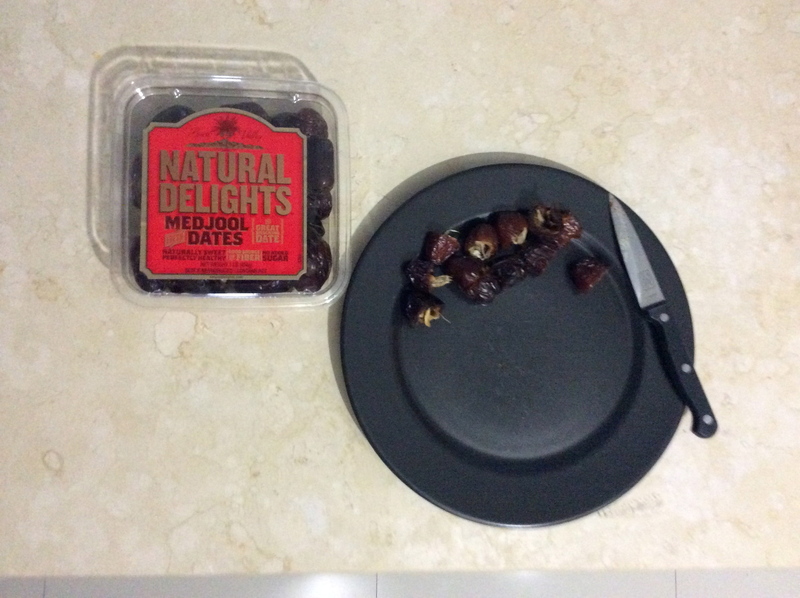 To insert into the meatball, I cut each date in half because they are pretty large for one meatball. 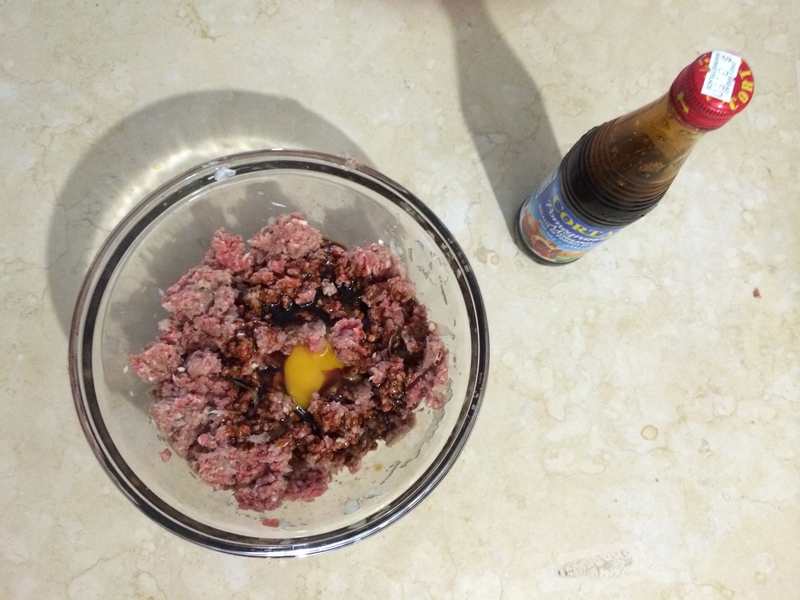 With your hand grab a handful of the ground beef mixture and begin to mold it. Get a half of a date and put it in the middle of the ground beef you are molding. Then, keep molding it into a ball, rolling it between your hands until it’s smooth and circular. Place each meatball on a greased baking pan. I always use aluminum foil to it’s an easy clean up afterwards 😉 When you have placed them all, drizzle olive oil on the top of each meatball. Meatballs tend to get dry so this will help keep them moist. The meatballs were baked at 350 degrees for about 30 mins. Next is the rice! I used basmati rice, which is a long grain rice with an amazing aroma you can smell immediately when it starts to cook. 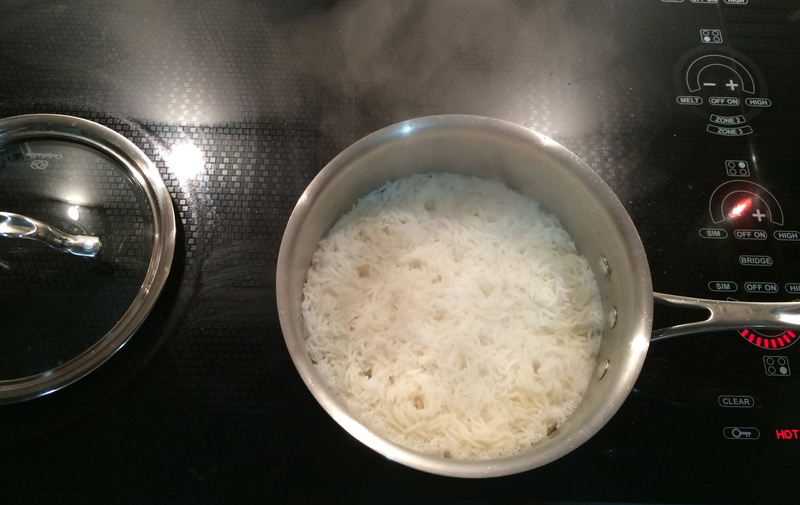 Here’s my no-fail fluffy rice trick courtesy of the pops. Rinse the rice in water 2-3 times draining it each time. Then, with the rice in the pot, fill it with water. You’ll want to fill it with enough water so that the level of the water over the rice goes up to the first line of your index finger. You’ll need to measure several areas in the pot to make sure your measurement is consistent. Sometimes the rice may have moved around a bit when you put the water in. 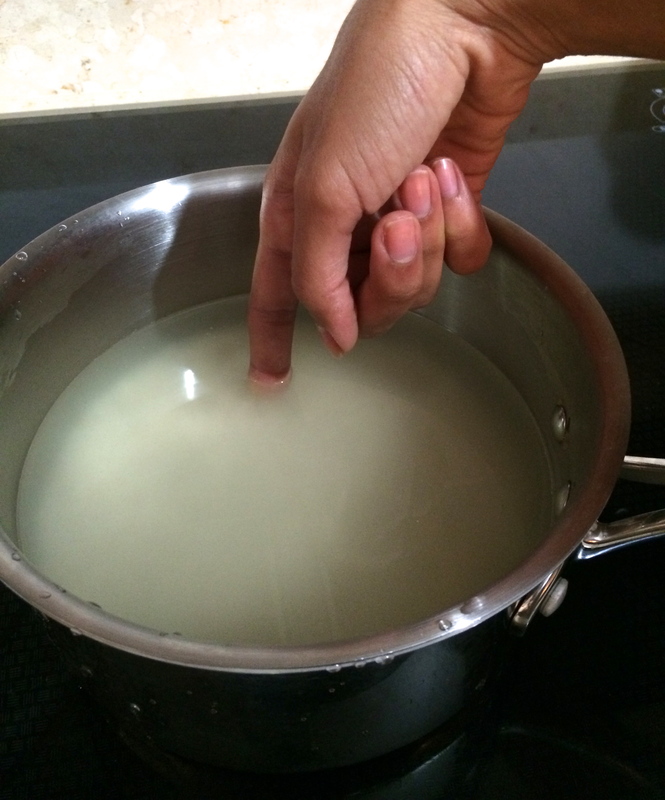 After you have ensured the level of water over the rice meets the first line of your index finger. Add sea salt and olive oil. 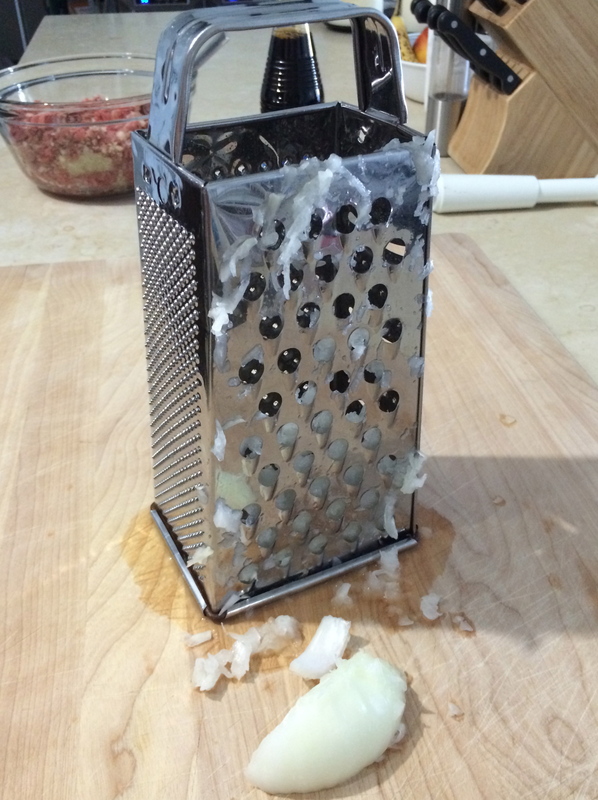 I like using butter as well since it gives it a nice buttery taste but that’s up to you. Cook the rice just under the highest setting. For my stove, it was about 2 or 3 lines under “high”. 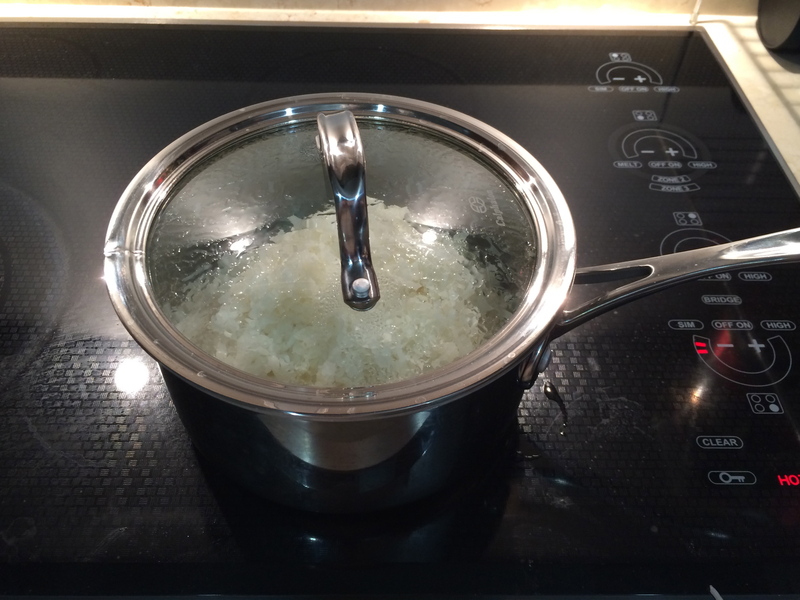 Let the rice boil and observe the water evaporating. This will take about 15 mins. When you can see that all of the water is gone and the rice contains little holes (seen above) then turn it down to “low”. Take a fork and from the outside in, just drag the rice with the fork and make a small mountain with the rice. Don’t mix it. Immediately place a cover on the pot and let it sit for 15 mins. 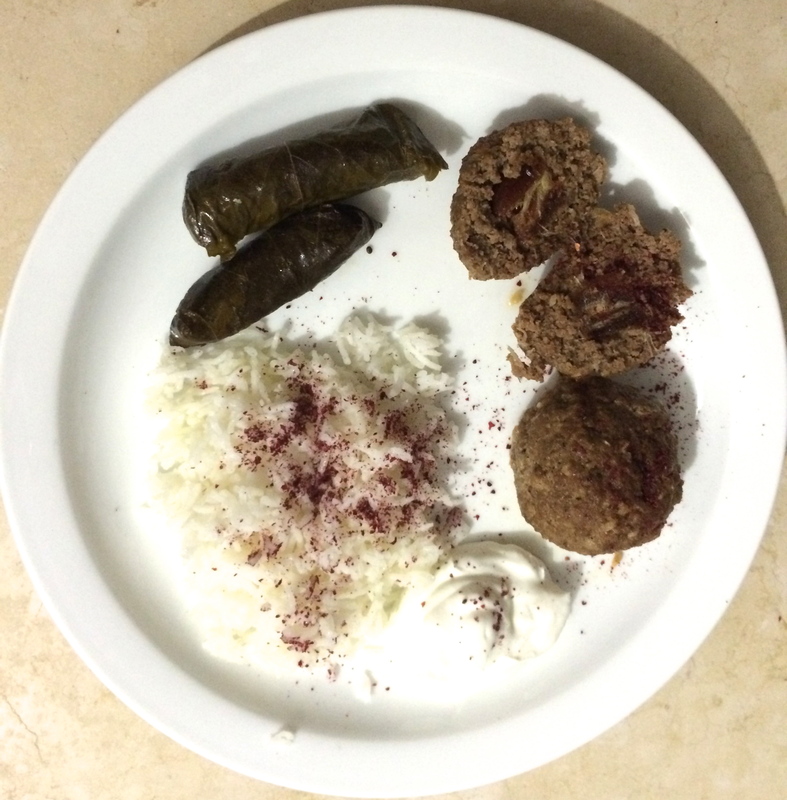 I served the meatballs with the rice, a side of plain yogurt, some stuffed grape leaves from the middle eastern market and a dash of sumac on top. Sumac is a very subtle spice. It’s not spicy at all, it has a citrus-y, sweet/sour taste. You can also find sumac at a middle eastern market. Hope you enjoyed my tips and the no-fail rice recipe!